I love 100% cotton anything for my bed, so I was sold on the idea of a cotton mattress pad. I had an old mattress pad I was using, but I was adding a 3 inch memory foam topper to my existing Full size mattress. I had to buy a new mattress pad to cover both the topper and my mattress, which measures a combined total of 13 inches. This mattress pad claims to cover mattresses up to 16 inches deep. There is no way humanly possible for this mattress pad to fit that. It barely holds onto the corners of my mattress and topper, and the cotton part doesn't even go all the way to edge of the bed.When I received the mattress pad, the stench coming from it was unbearable. I always wash bed linens before using them, and that did take care of the smell. But, that wasn't until after the smell irritated my allergies. Whatever they use, I'm still dealing with the allergy attack 2 days later.Order at your own risk. Be prepared to wash your new mattress pad to get rid of the smell, and order a size up from what you think you need. Home territory searches the web to find the best prices and availability on Mattress Pads and related products foir your home like DeepSleep Cotton Cover Mattress Pad in Multiple Sizes. For this page, related items include products we find that match the following keywords: "Mattress Pad" at our vendor partner Walmart - Click More Info / Buy Now to check for price rollbacks!. 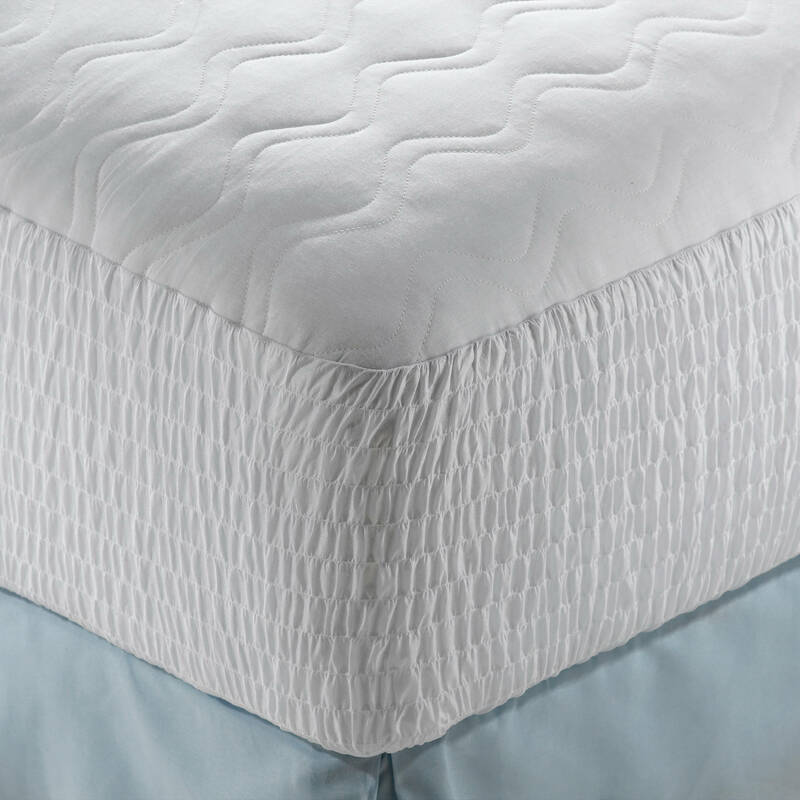 DeepSleep Cotton Cover Mattress Pad in Multiple Sizes is one of 61 Mattress Pads and related products available for sale through HomeTerritory.com, If you have any questions on this product, please give us a call at 734-971-1210 during the hours of 9am - 5pm EST for assistance. Thank you for shopping at Home Territory, the home furnishings superstore!